Betty Campbell-Adams of Lloyd's Carrot Cake said the low cost of doing business in The Bronx could help explain the strong increase in women-owned businesses that the borough has recently seen. THE BRONX — Women-owned businesses in The Bronx have been growing at a faster rate than they have anywhere else in New York City, according to a new report. The study from think tank Center for an Urban Future found that companies owned by women shot up by 53 percent in The Bronx between 2007 and 2012, a higher rate than any other borough. Over the same five-year period, women-owned businesses grew by 40 percent in Queens, 39 percent in Brooklyn, 27 percent in Staten Island and 22 percent in Manhattan, the report says. "We’re in an entrepreneurial economy these days, and I think we’re seeing a growing number of entrepreneurs overall in The Bronx," said Jonathan Bowles, executive director of Center for an Urban Future, "but women are leading the way right now. They are really an engine of entrepreneurship." The Bronx had a total of 68,705 firms owned by women as of 2012 — the most recent data available — which was more than entire cities including Dallas, Boston, Seattle and San Francisco, according to the think tank. Brooklyn had the highest overall number of women-owned companies out of the five boroughs at 118,489, the report says. The strong growth of women-owned businesses in The Bronx may have been because numbers in the borough were lower to begin with, but it also reflects the high level of investment happening in the area, Bowles said. "Entrepreneurs are taking risks, starting businesses and showing a lot of enthusiasm about the future of The Bronx," he said. He stressed that the majority of these companies, both in The Bronx and throughout the city, were very small, noting that only 3.9 percent of them in the borough and 9 percent citywide had paid employees. "A lot of people turn to entrepreneurship just as a way of putting money on the table," he said, "and these are not necessarily high worth businesses or extremely large businesses." Women-owned businesses throughout the city increased by 36 percent between 2007 and 2012, while the number of male-owned businesses grew by just 8 percent during the same time period, according to the study, which was funded by the Capital One Future Edge initiative. 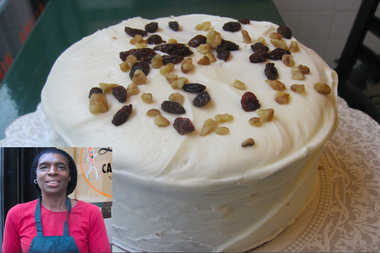 Betty Campbell-Adams, who owns Lloyd's Carrot Cake in The Bronx, attributed the growth of women-owned businesses in the borough to its increasing safety and its affordability, especially when compared with other parts of the city. "Certainly the cost of doing business in The Bronx is less relative to its neighbor, Manhattan, right," she said, "and so that in and of itself makes The Bronx appealing." "People are not reluctant to come up to The Bronx to do business," she continued. "I see my own customers, they come from all over."